Penetration Testers Get Ready - BackBox Linux 2.05 released ! The BackBox team has announce the release 2.05 of BackBox Linux. The new release include features such as Ubuntu 11.04, Linux Kernel 2.6.38 and Xfce 4.8.0. 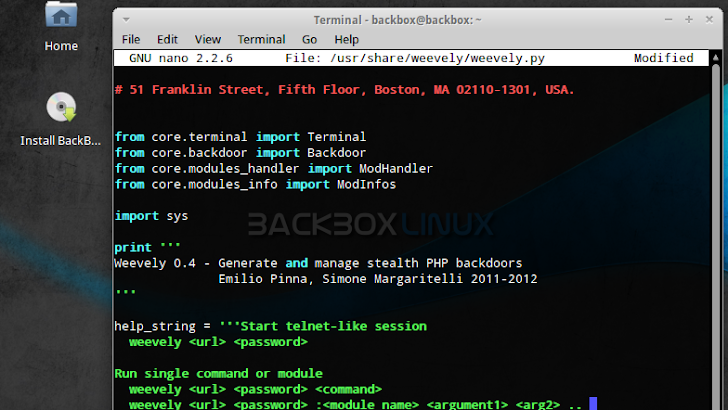 New Hacking tools: creepy, fern-wifi-cracker, joomscan, pyrit, reaver, xplico, etc. Updated tools: crunch, fimap, hydra, magictree, metasploit, set, sipvicious, skipfish, w3af, weevely, wireshark, wirouterkeyrec, wpscan, zaproxy, theharvester, xsser, etc.